Passings: Timothy Wilson, "Tiny Tim" of the Hits and The Legendary Teenagers - Pop, Rock & Doo Wopp Live! We are sad to report the passing of Timothy Wilson, former lead singer of The Legendary Teenagers, of cancer at age 73. He was born Howard Wilson in Salisbury, Maryland where he was discovered by Bobby Freeman and his manager Walt Summers, singing with his group Tiny Tim & the Hits. The group was taken to New York to record at Bell Sound Studios, which yielded the hit “Wedding Bells”. Tim was just 15 years old at the time of the recording. 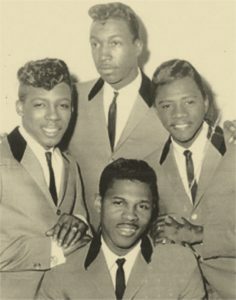 He would go on to record for United Artists, Veep, Buddah and even Motown Records, the latter as the lead singer of the Serenaders. 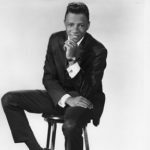 Contrary to previously-published erroneous info, Timothy’s Motown sessions were under the direction of Berry Gordy (and Berry’s wife Ray, who was heading up Motown’s short-lived NYC outpost at the time.) 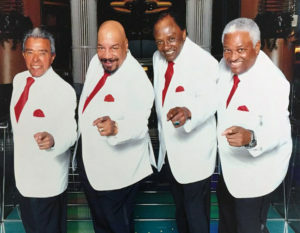 Tim further became part of the Motown extended family when he married Ray Gordy’s sister Alice. Timothy released one LP in 1978 for the H&L label. The self-titled album is a favorite among 70s rare soul aficionados, but failed to chart or achieve any commercial success. 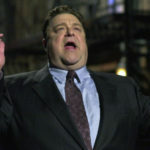 Ultimately disenchanted with the recording industry’s squandering of his talents, Wilson would later focus more of his energy on live performances, replacing Jimmy Castor as the lead singer of the Legendary Teenagers in the late 90s. Wilson toured the country and performed abroad when the Teenagers’ schedule called for it. In February of 2017, he had become too ill to perform, and he passed away in New Jersey, where he had lived since the sixties, on April 22. Click here a never-before-released video of Tim singing “Share” with the Teenagers in Pittsburgh in 2010.